Party in My Tummy is a popular track from the children’s TV show Yo Gabba Gabba. To discover why Yo Gabba Gabba is an international success as well as why you may want to get your kids to listen to Party in My Tummy, simply continue reading! Yo Gabba Gabba is a unique show as it features both live action and animated segments. Yo Gabba Gabba is also unique as one of its central characters is a DJ, by name the name of DJ Lance Rock. In Yo Gabba Gabba DJ Lance Rock has adventures which his five monster friends, Muno, Brobee, Foofa, Toodee, and Plex. Each of whom are adorable, life-size monsters. At the start of each episode DJ Lance Rock’s five friends appear in the form of miniature toys but after DJ Lance presses the Yo Gabba Gabba button they quickly transform and become walking, talking lifesize monsters. Each show is comprised of four segments, which are separate but interconnected and which feature DJ Lance Rock and his five friends completing different tasks. What makes Yo Gabba Gabba so unique? Yo Gabba Gabba is known for featuring a wide variety of A list celebrity guests, just like Sesame Street. Some famous faces which have appeared on Yo Gabba Gabba include actor Jack Black and musicians Erykah Badu and Mos Def. Yo Gabba Gabba is also well known for featuring regular live performances from popular artists and bands. Some examples of which include Weezer, My Chemical Romance, MGMT and The Killers. Why are Yo Gabba Gabba’s songs so popular? Many of Yo Gabba Gabba’s songs have gone viral as its producers were adamant that although Yo Gabba Gabba is aimed at kindergarten aged children, it should still produce high-quality tunes. That parents will enjoy listening to as well as children. One example of a highly popular Yo Gabba Gabba song is Party in My Tummy which is a song about eating and enjoying healthy food. Such as chicken, carrots and green beans. 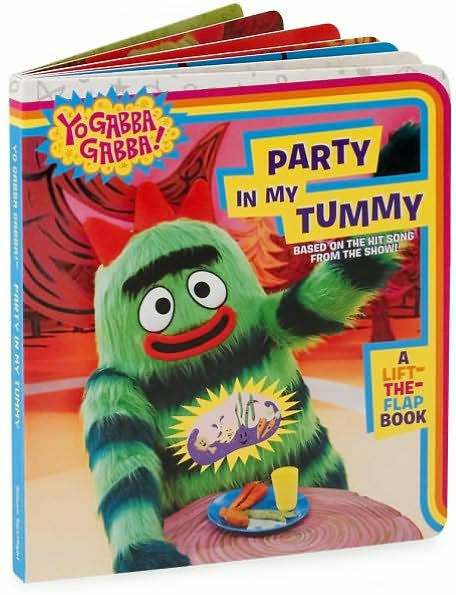 If you have a hard time convincing your kids to eat healthy food, you might have a bit of luck if you get them to listen to Party in My Tummy by Yo Gabba Gabba. How did Yo Gabba Gabba become mainstream? You may have assumed that Yo Gabba Gabba was produced by a prominent children’s TV network. However, Yo Gabba Gabba was originally financed by its creators and was only picked up by Nick Jnr after it’s pilot episode had gone viral online! Are new episodes of Yo Gabba Gabba being filmed? Sadly no, while there are four series of Yo Gabba Gabba episodes, after the fourth series, Nick Jnr chose not to renew Yo Gabba Gabba for a fifth series. The original release of Yo Gabba Gabba ran from the 20th of August 2007 to November the 12th 2015. So if you’re looking for a TV series which your kindergarten age kids will love, it’s well worth sitting down as a family and watching Yo Gabba Gabba.